Wed., Jan. 17, 2018, 5:55 p.m.
My old English setter was melted into his dog bed on Tuesday morning. He was stiff but fulfilled from closing out Washington’s upland bird hunting season Monday afternoon with a nose full of sage and quail scent. Scout’s joints were hurting – but he hurt good, as the saying goes. 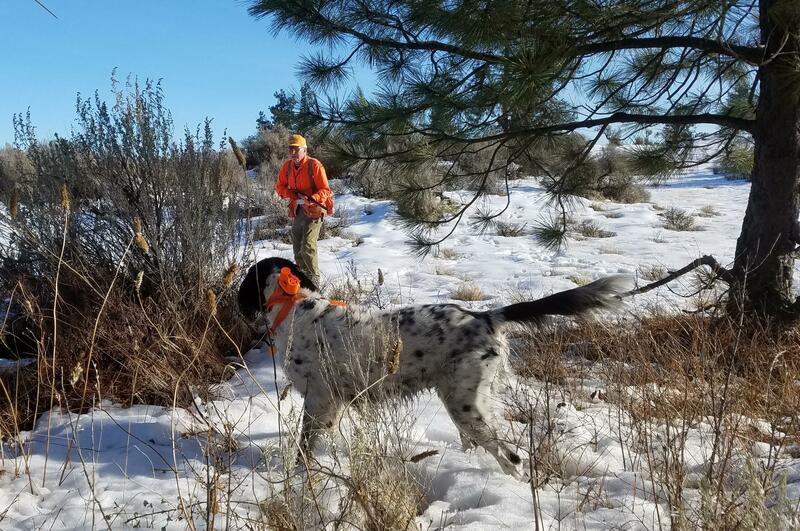 A bird dog in Washington has plenty to look forward to, with mountain grouse seasons starting Sept. 1 and partridge, quail and pheasant seasons opening in October and running in recent years through Martin Luther King Day in January. Bird dogs can cover a lot of ground in that time, especially when pheasants have a decent hatch, as they did last spring. On Jan. 24, Washington hunters will get a chance to see and comment on proposals that might change some hunting seasons, including those for upland birds. The proposals stemming from suggestions by sportsmen groups and public meetings held last summer will be revealed on the Department of Fish and Wildlife website, wdfw.wa.gov/hunting. Comments on the proposals will be accepted through Feb. 14. Scout can loaf with the best of his canine kind but like all good bird dogs he would vote to hunt every day. By Wednesday, he was recovered and following me like a shadow. His tail nearly beat the stuffing out of the sofa when I pulled my hat off the coat rack. We might wear out a retrieving dummy or two to keep us both pacified until the next bird season opens. Published: Jan. 17, 2018, 5:55 p.m.